Podcasts have become increasingly popular over the past few years and for good reason. They’re a great way to pass the time or to provide some background noise that isn’t music, as well as to learn new things, and listen to interesting and inspiring people talk about their lives, interests, and subjects of expertise. ‘Literary Friction’: Literary Friction describes itself as ‘a monthly conversation about books and ideas.’ In each episode the hosts, Carrie and Octavia, talk to a different author, either established or up-and-coming, about a particular topic. This topic is usually related to the themes and ideas that the author they’re interviewing explores in their work. Whatever these themes are, their discussions are guaranteed to be interesting and insightful. My personal favourite episodes are with Sally Rooney, author of Man-Booker longlisted Normal People, and Dolly Alderton, whose debut memoir Everything I Know About Love was released in early 2018. ‘You’re Booked’:This podcast sees the host, Daisy Buchanan (a columnist for The Guardian, not the character in The Great Gatsby) ‘snooping’, as she describes it, around authors’ bookshelves. She interviews them about their life in books, and they discuss the texts that define certain periods of their lives. The interviews consistently provide great book recommendations, and an opportunity to get to know the author in question more. I enjoy every episode whether I was aware of the author being interviewed before listening to the podcast or not. Authors that have featured on the podcast so far include Elizabeth Day, Nikesh Shukla and Poorna Bell. ‘Reading Women’:In this podcast, as the title suggests, women discuss books by or about women. If you’re looking for interesting discussions and great book recommendations, especially if you’re trying to read more books by female authors, this podcast is the one for you. They upload new episodes twice a month but, to get you started, try their ‘Most Anticipated Reads of 2019’, with a pen and paper at the ready for endlessly great recommendations. ‘The High Low’: This podcast is not strictly about books like the others. But don’t let that throw you off! The High Low is a weekly pop-culture/news podcast, hosted by journalists Dolly Alderton and Pandora Sykes. At the beginning of each episode they discuss the books they’ve read that week providing, again, countless book recommendations and conversations about literature. 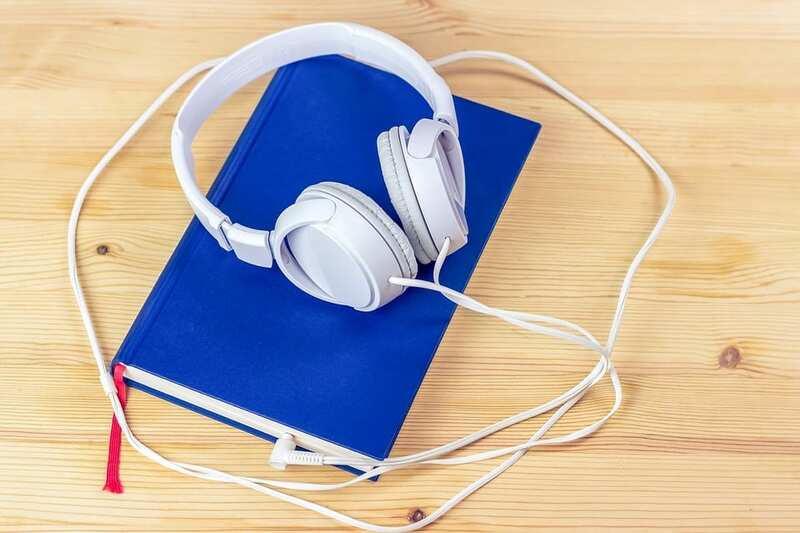 They also regularly interview authors on their podcast, titling these episodes ‘Author Specials’ and, after taking their bi-annual breaks, provide ‘Bumper Book Specials’, in which they discuss all the books they’ve read during their time off. In their ‘Author Special’ episodes they have interviewed some brilliant writers such as Yomi Adegoke and Elizabeth Uviebinené, authors of Slay In Your Lane: The Black Girl Bible, Meg Wolitzer, the New York Times bestselling author of 8 novels, and Reni Eddo-Lodge, author of the critically acclaimed book, Why I’m No Longer Talking to White People About Race. ‘The Writer’s Voice’: This recommendation is slightly different to all of the others in that it is not a podcast in which literature is discussed, but one in which literature is read. In this podcast, fiction writers from The New Yorker read out their short stories in episodes never exceeding the 1 hour mark, which makes them perfect to listen to on study breaks or to fall asleep to. The episode in which Zadie Smith reads her story ‘Now More Than Ever’ is a personal favourite but there are also episodes with Mary Gaitskill, Rachel Kushner, and Jeffrey Eugenides, amongst many other great writers.